Since I was a small boy all I ever wanted was to be a musician. However, at eight years old, conducting an imaginary orchestra from records on an old turntable to the actual thing is quite a journey. There have been disappointments along the way but it is possible, not easy perhaps but possible. I have been extremely fortunate to enjoy a career doing something I really enjoy, a career which has taken me around the world several times and allowed me to gather some wonderful friends. Mistakes? – certainly, ‘I’ve made a few’ and unfortunately not small or reversible ones. One in particular will always be to my eternal regret but music and particularly the piano has always been there and remains for me a source of great joy, comfort and personal satisfaction. Now I enjoy the creative process, be it music or literature probably more than at any other time in my life. Each day there is so much to continually learn and that is a delight; to then create, record and hear it performed by wonderfully talented musicians and actors is a joy. On this website you can hear some of the music I’ve written, learn of some of the things I’ve managed to do and what is planned. Excelling at classical piano from age six he was also encouraged to listen to and play an eclectic range of music, something which proved to be beneficial in later years. Although he played in school concerts before this, Mellor performed in public from age twelve in local productions and dance groups, later moving into cabaret and theatre work, not returning to the classical repertoire until later in life. Winner of ‘Best UK Songwriter’ when still very young he went on to conduct, arrange and collaborate with many artistes and musicians. 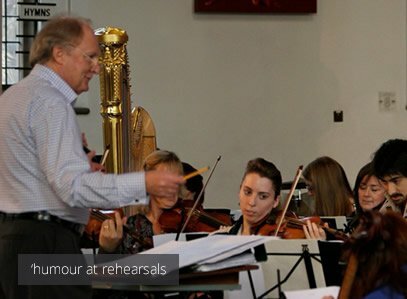 He has been personal musical director for numerous international singers, conducted and performed in musicals in London’s West End and been guest conductor with the Moscow, Prague, Warsaw and Scottish Symphony Orchestras. 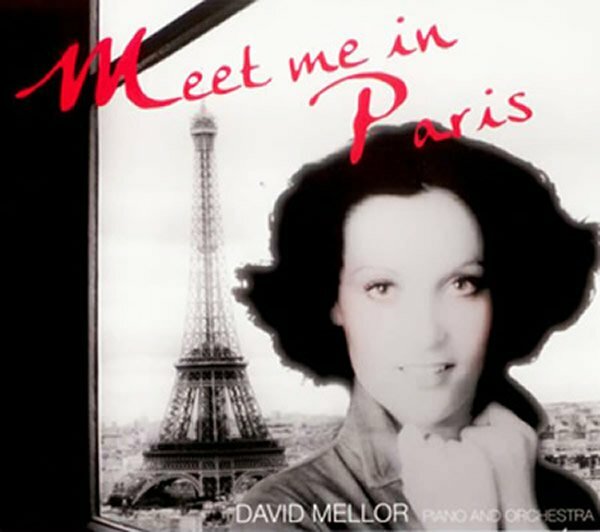 Now principally a composer and arranger – he has written a large and varied mix of work from the jazz influenced ‘Meet Me in Paris’ which was greeted warmly by Paris Mayor M. Bertrand Delanoe and is the title music for a French screenplay from a Book of the same name; the moving 9/11 composition ‘Peace Anthem;’ to a piece for Symphony Orchestra about a Great War Tragedy in his hometown, one of several symphonic pieces he has composed. In addition he has appeared on countless recordings for artistes as well as television and radio worldwide and has numerous composing credits to his name. Following on from a hugely successful World Premiere Concert at Blackburn Cathedral where he conducted his new symphony, ‘Tragedy on Darwen Moor, December 1917’ further concerts are now planned through the UK and Europe. Also at that concert he conducted an extended symphonic version of his 9/11 work ‘Peace Anthem.’ Plans are confirmed for The Royal Philharmonic Orchestra & Choir to record both works. David also appears in his own One Man Show: ‘A Life in Music’ in which through music and anecdotes he tells of his life as a Professional Musician. From first piano lessons through London West End Musicals; Television, Radio, Recording to travelling the World as Personal Musical Director to International Singing Stars including UK vocalist Matt Monro. This event always stirs some musical memories and will be touring again in 2019. Additionally, David’s new ‘Songbook Orchestra’ featuring Legendary International Saxophonist Alan Wakeman will take the stage in late 2019, while the David Mellor Concert Sextet continues to perform at theatres and concert halls in the UK & Europe. Check BLOG bar at the top of this page for updated information on dates. A small selection of the many people David has collaborated with:- Bob Hope, Andy Williams, Matt Monro, Sir George Martin, Sir Richard Eyre, Don Black, Shirley Bassey, Cilla Black, Petula Clark, Sacha Distel, Jason Donovan, David Essex, Des O’Connor, Natasha Richardson, Sir Andrew Lloyd Webber, The Northern Chamber Orchestra, The Choirs of Blackburn Cathedral, The American Cathedral in Paris, France and many more. Sands Hotel, MGM Grand, Caesar’s Palace – Las Vegas, Shrine Auditorium – Los Angeles, Carnegie Hall – New York City, Sydney Opera House, London Palladium, Royal Albert Hall, Palace Hotel St. Moritz, Hong Kong Club, Sandy Lane Barbados, Arenata Coliseum Manila, Johannesburg & Cape Town Concert Halls, BBC Radio & Television, all UK ITV companies, Assorted TV, Radio & Concert Halls throughout Europe, the Americas, Asia, Africa and the Caribbean. 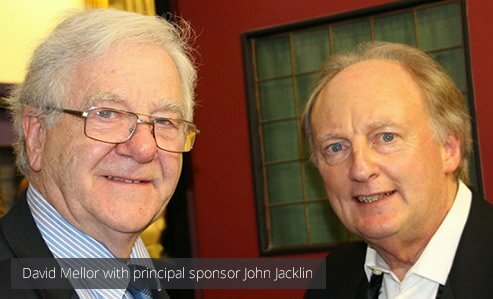 Member & Supporter of The Royal Society of Musicians of Great Britain. Supporter of Research into a Cure for Menieres Disease. Supporter of Nordoff-Robbins Music Therapy – a music charity dedicated to improving the lives of children & adults. Written and scored to be choreographed, this describes a young couple meeting for the first time, their initial attraction, their first dates and then both being carried away in romance. ‘Thoughts of the Miles Davis early years. A personal reflection of an unhappy time in life with the music the antithesis of those involved. Written within days of 9/11, the music and lyrics are a young person’s view of the world and their hopes for the future. © 2019 davidmellormusic.com – All rights reserved. Unauthorised reproduction is forbidden. All artwork, images, music and text displayed on this website is copyright and may not be reproduced in any way without the written consent of the author. It may not be used elsewhere on the internet, within other websites, or in print, without the written permission of the site owner and author. The different quoted or used products are property of their respective authors.